I’m so far on target to hit my 2500 words by Sunday evening so I’m feeling pretty good about that. I was really fired up by Aly Hughes blog (Which I re-blogged, for you all to read) and I managed to knock out a fair few words tonight when I did not really feel like writing. I had a weird start to the day. It was like I couldn’t get going, not only mentally but also my body just did not seem to want to wake up. How I made it through till eleven,ish when I did start feeling myself again I have no idea but I did and managed to have a pretty decent day. Scott Sigler is really kicking arse with his book The All-Pro which is getting better with each sentence. Not only is the core story amazing but the world building that Sigler is doing is spectacular and I am sure that he is building to some huge events in the future of this universe. I can’t really find a good reason why I have found it difficult to get some writing done recently, but today I did get some writing done. Yes, I am very tired. I have a very demanding day job, which I thoroughly enjoy but it does drain me. I’ve had some really silly things crop up which put me off my stride, but tonight nothing did. I got home, ate dinner, showered and then got cracking despite the day’s fatigue slowly setting in. That’s what I need to do though, I need to be able to write when I am tired or stressed out and so on. What I’ve written tonight might not be very good, or very many words but it does fill in a few details of the story that I am working on but most importantly its words written. It doesnt matter if I delete them tomorrow when I look at the story again, saying that I doubt I’ll do that, my point is, its words written. My mind has thought through aspects of this story and hopefully when I fire up this laptop tomorrow more words will flow. Editing is something that I have a lot to do also at the moment. My brilliant Beta readers have taken the time to read two of my stories so I need to get those edits done and then get them off for submission. That’s something that I’m going to have a whack at on Friday after work. I desperately need to catch up on the amazing blogs that I follow as well. Normally Mondays are not the most popular day of the week, but despite an irritating start to the day it has turned out pretty good. I’m really getting stuck into Scott Sigler’s The All-Pro ( http://scottsigler.com/ ) and I’ve started reading an e-book on my iPhone’s Kindle app (the first time that I’m trying this) The book is J.J. Harkin’s Angels Of Apocalypse, (https://twitter.com/#!/authorjjharkin ) which after only a few pages I’m enjoying so I’m looking forward to seeing what happens in it. I also listened to Michael Chrichton’s Jurassic Park, which is always a fascinating listen. Project Phoenix has also popped into my head a little as well and one major thought was crawling around my head until I had a proper revelation for a piece of the stories history. I’m going to write a couple of little stories for Phoenix as well because I need to find a proper feel for one of the main characters. So I’m going to throw him into a couple of demanding situations to see what he does. It was a good conversation that we had which gave me plenty to think about and really created some good little ideas. As I’ve mentioned before I think depth is a massive component of a universe that a story is set in. It’s all good and well having a strong plot and/or characters but if the world around them is weak then the reader may feel like they are loosing out. 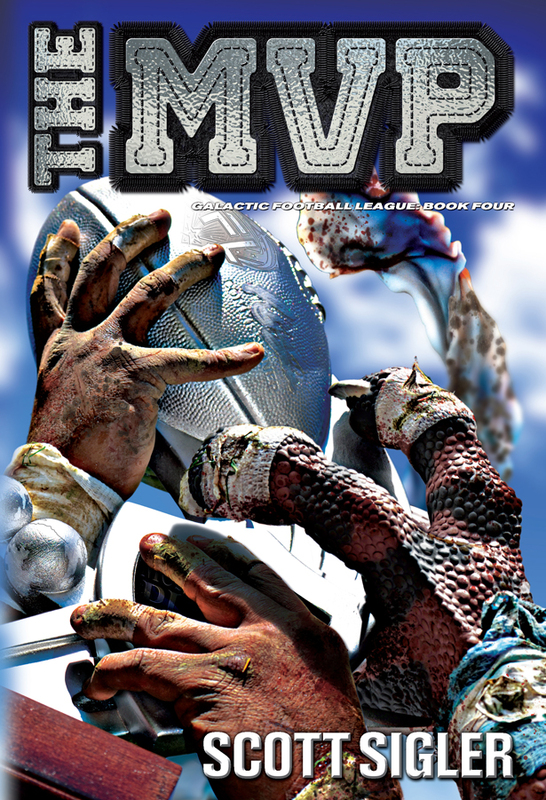 This is one thing I find with Scott Sigler’s Galactic Football League series. With each book we learn more and more about the wider universe and that depth is something that me and Owen need to weave into our stories.